SCE faculty Matt Burgermaster is an award winner in the 2018 Maine Mass Timber Design Competition. Sponsored by AIA Maine and the Maine Mass Timber Commercialization Center, this competition sought to promote innovative thinking and sustainable uses for Mass Timber construction through the design of a wilderness lodge in the remote backcountry woods of western Maine. Matt’s project, designed in collaboration with Maine-based D/B/A design build, is a large, full-service lodge that reclaims a de-forested logging zone for recreational purposes. Intended to facilitate access to the wilderness, it challenges the romantic idea of an “untouched” nature by reimagining traditional relations between resource conservation and consumption as integral parts of a circular economy between sustainable forestry and building construction. 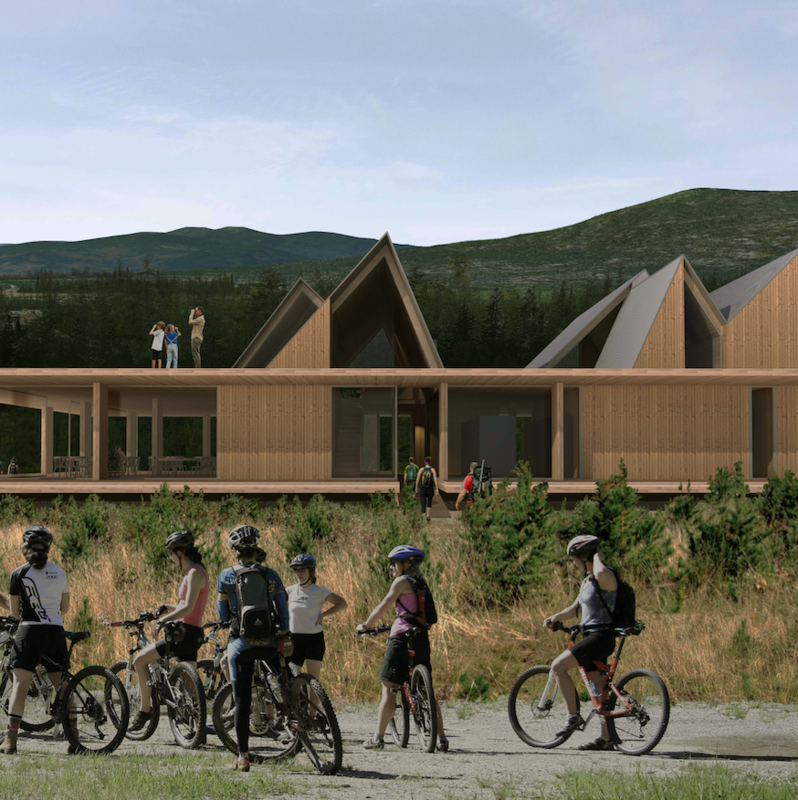 The structure is an open elemental pavilion constructed of prefabricated cross-laminated (CLT) modules and glue-laminated (GLT) components, and is intended as a prototypical system suitable and reconfigurable for other lodge site locations along a 180-mile trail network in the region.